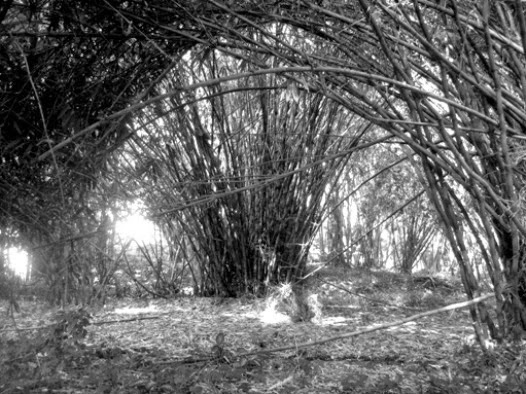 The bamboo jungle grow inside the Bogor Botanical Gardens (West Java, Indonesia). I took pics from outside the garden –behind the fence. 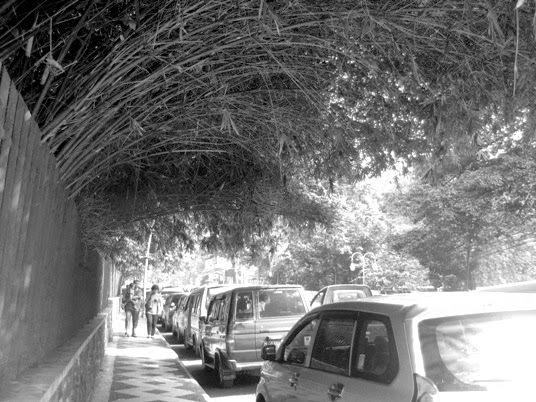 I like the way the bamboo almost makes a tunnel over the street. I especially liked the first one. The plants gave both a nice framing and a fine centre. Bamboo has fantastic structures, beautiful photos. Lovely shots in B&W! Especially I like the first one ... wonderful patterns! Impressive pictures! The size of the bamboo is really enormous. Have a nice week!